“What a circus”, said Bukowski. The fact of it, to paraphrase that lewd, boisterous, insightful poet, should make us want to forget all our petty differences and be kinder to one another. Graham Weir, who is a bit of a circus himself – in the best sense – seems to have been thinking about death a lot of late. He’s probably very kind. 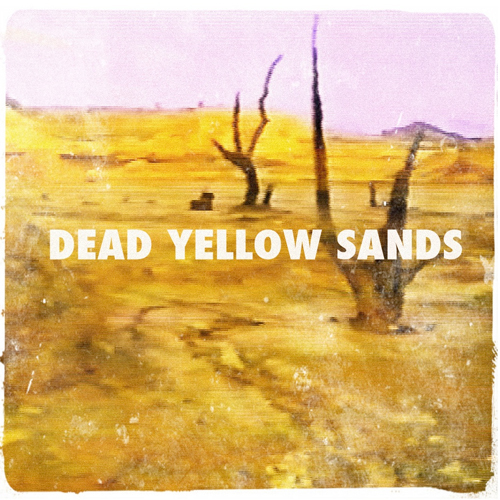 Memory and death, those close companions, are the central themes running through the six stories that comprise Dead Yellow Sands, his latest and much welcomed play. Graham has never disappointed. Not singing a cappella – alone or in Not the Midnight Mass – nor as King Lear in Guy de Lancey’s superb and memorable production at the Intimate, nor narrating the heartrendingly simple tales he tells now. Death is nothing if not the creator of meaning, which is perhaps why the young, with their false sense of immortality, can indulge in the luxury of nihilism. For there is no meaning in an experience if it can be endlessly repeated. It is the scarcity of the number of times we can climb a mountain, paint a painting, sleep with a lover, that prescribes meaning. Think on the last supper, the final journey, the goodbye. He is cast as an ancient, and has grown into this character simply by sticking around long enough to be aware of having passed life’s halfway mark, and by cultivating his beard to soothsayer proportions so that with the use of lights that deceive by their simplicity, a simple shift in position renders him the cadaverous unself-pitying man wracked with cancer. Or the old queen who wants to relive his glory days in the musicals by putting on a show at the bandstand in De Waal Park. Or Tienie, who lost his teeth, his dignity and his ability to endure the lack of a caring touch. Despite his love of the musicals, in my experience Graham has always been a minimalist, shunning spectacle for honesty, and director Bo Petersen has the insight to eschew the dramatic and allow the act of performing, of set and lighting, to be almost transparent. Thus we are not seduced into the act of imagining but make a conscious choice to enter willingly and are all the more richly rewarded for it. Graham has an unerring ability to be undramatic. He shimmers on the edge of transformation. Between blinks he can shift between a man on a stage and the equivalent of Homer in Ionia. There is a beautiful tension in this, a marvelous complicity and agreement to hand him the oars as we cast off from the jetty of everyday life rather than having them wrested from us by a surfeit of pageantry. The production’s simplicity and transparency holds greater power than the grand false spectacle. In the tale of an old man who lost his sight, one of the two right-angled side lights is killed (I can’t recall if he reaches over and clicks the switch himself or not, but he could, and to take transparency to its natural conclusion, should) and shifts in his chair to face the dark his character lives in. It is this sort of obscure brilliance that reveals Guy de Lancey’s hand in the lighting design. From the absurdity of a life-size replica of the Drommedaris and a pair of performing dolphins in Benoni, to the last gasp of a pragmatic man surrounded by his family, Dead Yellow Sands contains an enthralling morbidity that is strangely affirming. Autobiography skims the waters dark and deep, creating ripples that wash up on our own shores, whispering “remember, remember”. Remember what has passed and how quickly it has flown. Remember what lies ahead, how quickly it will come. 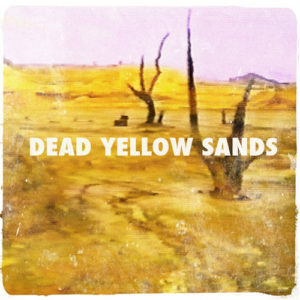 Dead Yellow Sands is on at Alexander Upstairs Theatre until Saturday 22 August. Book here. Ebola: Hilda Cronje’s heart in darkness.